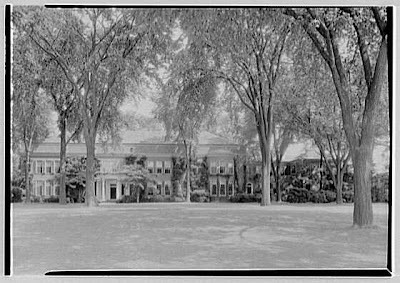 Harold I. Pratt's 'Welwyn' estate in Glen Cove pictured here in 1933. 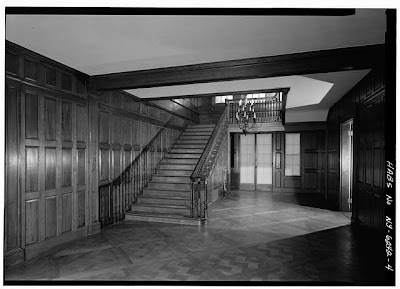 The two interiors are not from 1933. Looking out into the garden and reflecting pool. 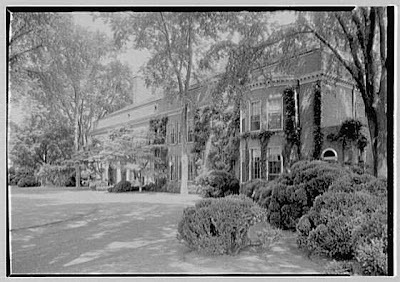 The house is behind the camera here and the Long Island Sound can just barely be seen over the trees to the left. Photos from the Library of Congress. 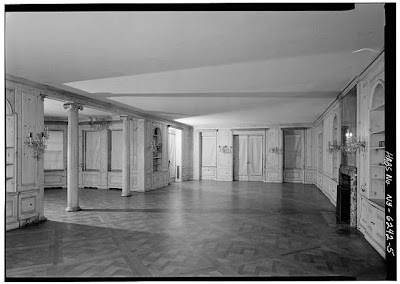 Why was the house so empty without furnishings in 1933? Was this soon after the major facelift of the estate? 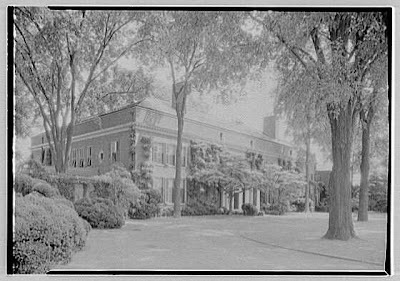 Apologies, the two interior shots are from much later on, sometime after the Pratt family had left. Thanks for posting the photos, Zach. They're particularly interesting to me as I redesigned the garden, house and patio plantings in 2000. These Pictures of Welwyn surrounded and engulfed by towering bouquets of American Elms is such a great example of just how perfect a tree it was. You see so many pictures of "great" houses landscaped this way and to this day I have known no other species of tree to replace it planted in this manner. I suppose it had everything to do with keeping cool but the resulting grace and scale was so beautiful that I’m sure the visual result was just as much apart of the appeal. It is a real shame that all of those trees are no longer there. When I first saw these pictures I was surprised, because the front of the house is very open today. There are still a couple of trees on the front lawn but it looks nothing like it did above. 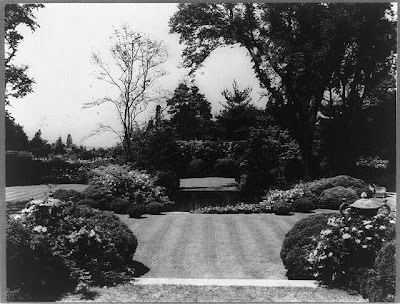 Those trees on the front lawn required a virtual army of groundskeepers who labored on the estate into the 1960's. (The era before the ubiquitous, obnoxious leaf-blower device). As impressive as the trees on the front lawn are the magificent stands of tulip trees with the underlying rhododendrums at the entrance point at Crescent Beach Rd. .These tree tops were the roost to flocks of crows; I can still hear their caw,..... caw,......caw. On a hot summer day this was an oasis of coolness and the perfect place to avoid the groundskeepers who were chasing us. Does ayone know how many acres there are? I went there earlier this year and the grounds are still nice to explore.